Police on patrol live and breathe situational awareness. Even in the safety of their patrol cars, cops can't let their guards down. Now, a new feature developed by Ford and InterMotive Inc. lets officers know when pedestrians are approaching from behind — and puts the vehicle in lockdown. This car will cover your six. Ford engineer Randy Freiburger came up with Surveillance Mode after riding along with LA County police in Compton, California. 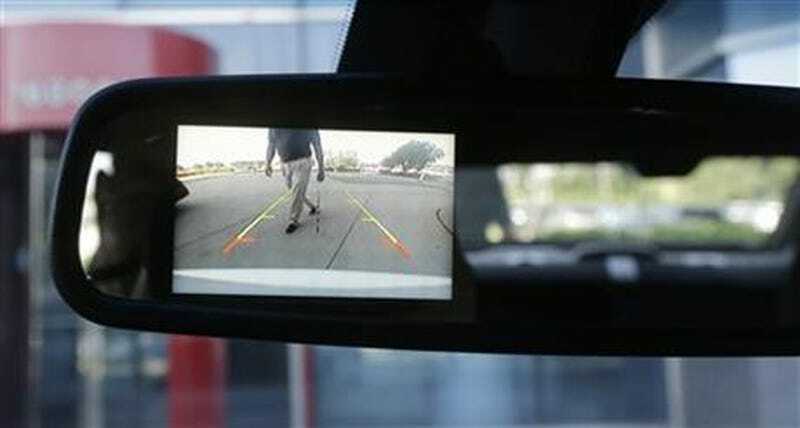 When activated in a parked patrol car, the system turns on the rear-mounted camera and back-up sensors that usually only come on when the car is shifted into reverse. A screen in the rear-view mirror shows video footage, and if the proximity sensors detect a person approaching from behind, the car sounds an audible alert, locks the doors and closes the windows. The system works equally well day or night, and can be disabled if the car is parked in an area with high pedestrian traffic.